The Noorderhof district along the waters of Sloterplas is in every respect the complete opposite of the architecture and urban design of the surrounding modernist ‘western garden suburbs’. Krier placed his houses on small introverted streets and squares ranged around an existing church by Granpré Molière. Six national and international architects designed the individual houses which Krier dispersed across the site, paying particular attention to the corner units. A taller block of apartments for the elderly terminates the district. 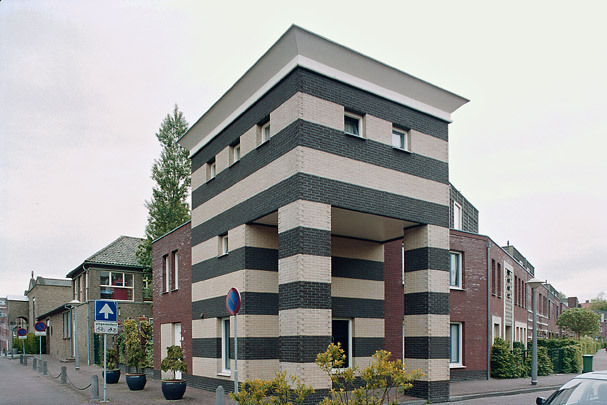 Krier would repeat these architectural and urban principles at Brandevoort in Helmond but then at a larger scale.